What’s next in marketing? Artificial intelligence will dominate marketing! Do Apple’s Siri or Google Assistant sound familiar to you? 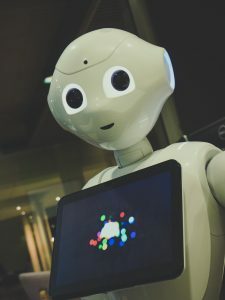 These are the examples of artificial intelligence not only comes in convenient and handy for daily use, but it is proven to be a practical and powerful companion in the business workplace, making it the ultimate tool in running an organisation. Producing more than the desired effects in business world is what every organisation asks for. The introducing of AI services is due to the inconsistency of productivity being noted in daily business functions over the years. The reason of the business operators being able to have rapid output growth rate is due to AI as the catalyst which ushers in the effectiveness of overcoming a business world that is constantly demanding for productivity in immediacy. Now we come to the subareas of AI, which consist of machine learning techniques, applied propensity models and AI applications. Firstly, machine learning is the core area in AI, and this technique is to learn automatically from historical data by using algorithms and conduct tasks without needing human intervention. Applied propensity models are generalising traits of historical buyers, while AI application is associated with human operator such as answering enquiries. 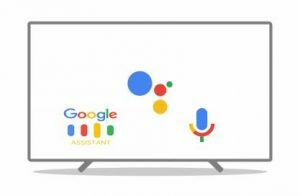 Siri, Google Assistant, Google Now, Google Home and Google Duplex are virtual personal assistants on different platforms which involved IOS, Android and others. 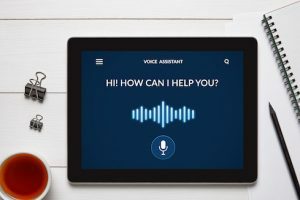 In other words, these are intelligent applications in generating information results from the internet by using voice search instead of the usual conventional typing-out-keywords method. For instance, we can do voice search “What are the most recent Joox Music promotion offers?” and it will respond by finding relevant information. In fact, the speed of result generation is faster than typing, as typing needs time to construct the sentence. 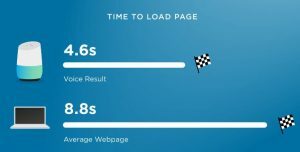 On PageSpeed, the result recorded on the page loading speed for voice search is 4.6 seconds, whereas the conventional web page search needs 8.8 seconds and above to load. 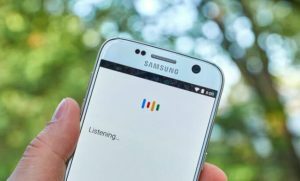 Adding on, voice search is more convenient than typing because business marketers can use voice search even at places and timing that is inconvenient to look at phones, and yet able to attend to their urgency simultaneously, such as driving or crossing roads. 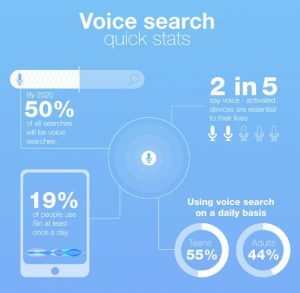 Furthermore, voice search has great potentials in making shifts in SEO strategies in future due to its capability to boost organic traffic and investment intention of customers. Moreover, chatbots can understand and interpret the queries of customers and complete orders for them, such as Facebook messenger which has its own chatbots (automated text-based virtual assistants) which allows train bots with sample conversations and keep customers ongoing with the interaction. AI has swept over the world with convenience and speed, not just in the seamless browsing experience, but also in aspects such as hiring candidates for work. One of the examples is Unilever who has hired 30 thousand applicants per annum using AI, and the job applicants were a total of 1.8M! 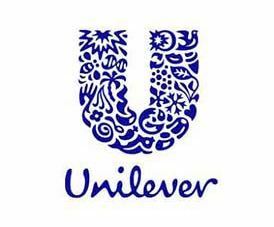 Instead of relying on CV and resume, Unilever formed partnership marketing with Pymetrics (AI recruitment agency) to create an online experience for applicants to apply for jobs through mobile devices and computers, without even having to dress up and travel, or even paying for parking fees to enter an office for job interview. Through this method, Unilever helps the company as well as the applicants to save time and expenses. Furthermore, this reduces bias, which is how every companies hire people based on CV and resume. Also, through AI recruitment methods, candidates can interact with the interviewers like treating candidates as customers. This not only allows the virtual face to face interaction, but it also helps the interviewers to evaluate the candidates even better through video interviewing. Moving on, AI also has become the game changer for influencer marketing too! As AI has the merit to eliminate fake influencer engagements and also fake chatbots, therefore AI can kill two birds with one stone by driving higher organic and “real” sales traffic and gaining more followers, and at the same time building a firewall towards any fake influencers, such as the fake Instagrammer influencers. Positively translated, AI has the power to automatically filter the right influencers and detect fake accounts, or even fake customer reviews. So, by using AI, users can collect information and to identify/categorise the reviews that has to be prioritised. How cool is that? We’ve got more to tell you! So here’s another one: Improving relevance of search for purchasers! Since AI plays the main role as an automatic digital filter, AI assists users in filtering search keywords, just like what Google Ads does! Not only it improves the ease of access and search navigation process, AI is also every company’s answer to a strong CRM (customer relationship management)! As every digital marketers know, customer relations is the anchor of building trust and loyalty from customers to wards a certain brand that the company offers. With what AI can offer by filtering out irrelevant searches, it is a surety of win-win solution for both companies and customers, whereby making it easier for companies to know the customers’ needs. On the other hand, customers have their product requests tailored according to their demands too! The development and improvement of AI are the vital points for future marketing efforts; marketers should not overlook the expediency of using robots in business performance and we should cater it to the fullest use. 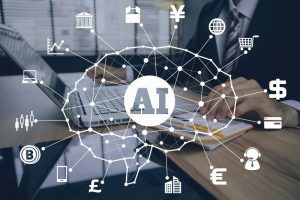 Thus, AI should be integrated into every profit-driven company and should be made known to every type of businesses; from startup business to international corporations help us in reaching the goal of contact the right customers with the right offer through the right channel at the right time. If you would like to learn to use digital marketing strategies in your business operation, feel free to visit www.WaveEvo.com to find out more on other services which we offer as well. We will be glad to be of your best assistance!